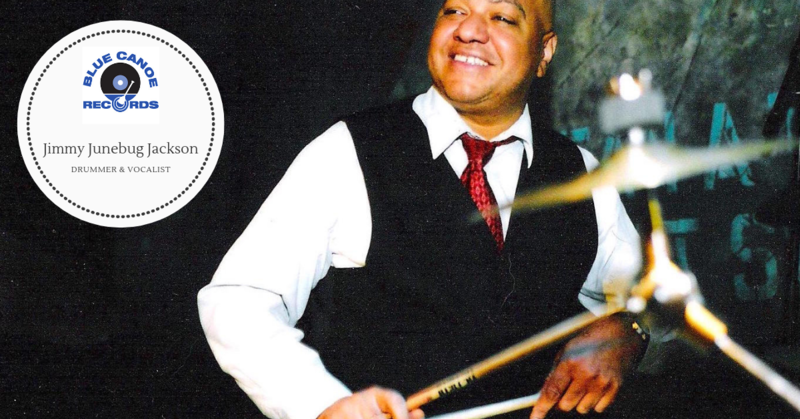 Drummer and vocalist Jimmy Junebug Jackson (1957-2012). Jimmy Jackson's association with jazz is a profound experience in itself. For over 20 years Jackson toured the world with legendary organist Jimmy Smith, and during the course of this prestigious tenure he also performed with other such master as McCoy Tyner, George Benson and many others. 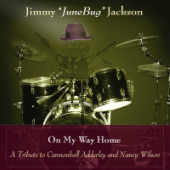 Jimmy's debut CD, "On My Way Home" is a tribute to Cannonball Adderley and Nancy Wilson. Featuring Jimmy Junebug Jackson (drums/vocals), Jimmy Smith (organ and introduction), Mark Whitfield & Badera Smith (guitar), Herman Riley & Charles Marshall (tenor sax), Gregory Coleman & A. Anderson (percussion/vocals), Jonathan Wood & George Sessum (bass), Jimmy Brown (trombone), Jim Bowing (trumpet), William Knowles (trombone) and Rod Smith (flute). Listen to Jimmy in his own words...This audio interview was conducted at an Atlanta Starbucks with the late great Jimmy Junebug Jackson. It was recorded on a laptop computer and the background noise can be rather distracting. However in spite of this, we've decided to release this audio interview. In this un-edited and raw interview, Jimmy discusses working with Jimmy Smith, his early beginnings, his CD, words of wisdom and much much more. Interviewed by Joseph Patrick Moore for Blue Canoe Records.